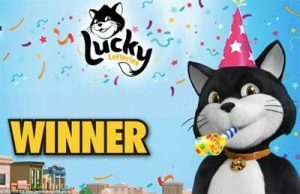 A truck driver making a pit stop on his way to work discovered that he had won $100,000 in the latest Lucky Lotteries Super Jackpot draw. The truckie entered the $100,000 draw, purchasing 10 entries for $2.20 a ticket at a Tobacco Station in Wetherill Park, New South Wales. When he stopped at the shop to check his tickets, the attendant told him he was a first prize winner. The truckie, who wishes to remain anonymous, said the win, confirmed by Tatts’ NSW Lotteries, means a lot. “Normally I win a free ticket but this one, oh it’s beautiful — it’s just fantastic,” he said. The truckie said he planned to have a break from work and go on a holiday with the money. “I’ll head up north where the weather is warmer and do some finishing! I’ll be able to have a good holiday — just sit back and relax,” he said. Tobacco Station owner, David Car, said he is thrilled to have sold a winning ticket into the Lucky Lotteries Super Jackpot to one of his frequent customers. “We were really excited for our winner, it meant a lot to him and it gave me such joy knowing he had won $100,000,” Mr Car said. The Lucky Lotteries Super Jackpot prize is now at $4.01 million, while the Lucky Lotteries Mega Jackpot is now at $4.84 million for draw 1067. You can buy your entries via the Oz Lotteries site, where you can also purchase tickets into charity raffles for a chance to win a beach-side property. A few weeks ago a 37-year-old Australian Lottoland player bet on two lottery draws, including the US Powerball that Lottoland froze for $880 million and the Australian Friday Lotto. He ended up winning more with his Friday Lotto bet, landing the division 3 prize and pocketing $100,000. The lottery betting site, which is facing a nationwide ban and a hate campaign by Tatts, is offering players the chance to win $628 million in the US MegaMillions. Three quickies will set you back $30, but for a chance at winning hundreds of millions of dollars, it may just be worth it. You can bet on the outcome of Lottoland draws here – be sure to get the Number Shield so you have the chance to win the entire jackpot (without it you share the prize with the winners of the official draw).